Attorney General Yvette D’Ath opened the Strata Community Association QLD (SCA) annual conference last month and announced that the government will not be making any changes to lot entitlements. The announcement is in response to the Property Law Review recommendations completed by the QLD University of Technology (QUT) which we previously wrote about Here. The Attorney General advised that there has been little to no stakeholder support for the QUT recommendations on changes to the establishment and adjustment of Lot Entitlements. She also advised that the Governments position is that people who buy into Strata properties are entitled to do so with certainty and without risk of changes to their future levy proportions. It was also announced that the government will undertake further work to significantly improve seller disclosure requirements to ensure awareness of future financial obligations when purchasing a strata property. 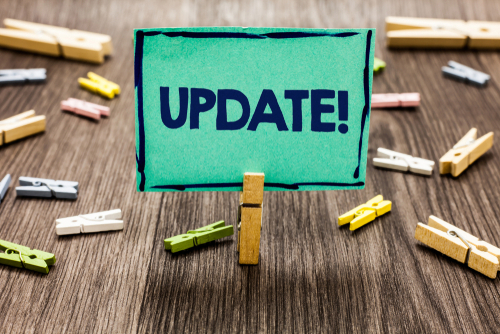 The Attorney General provided a further update on the review of the regulation modules currently extended to August 2019 which we wrote about Here. She confirmed that stage 1, which includes the review of the regulation modules is well underway and that the Government will be releasing the draft regulations for public consultation mid this year, expected to contain up to 69 further recommendations. Stage 2 of the review will be the next focus for the government, dealing specifically with by laws, scheme termination and debt recovery. A further update on both stages of the review will be provided once announced. To watch the Attorney Generals full SCA conference opening address, click Here. This article was contributed by Eddie Verevis, Partner – Archers that Strata Professionals. It is, and has always been, the fair and logical position that the lot entitlements agreed to by written contract should apply to each and every lot. Unfortunately, that position has not been upheld in the past. Greed and self interest disrupted this process and, as is fairly common, won out despite legal contracts being in place. In our building, the court altered our lot entitlements based on significant, false information presented to the court. This is evident from court documents procured at a later date. We attempted to reverse the process in around 2013 but the legal process at that time prevented our case from being considered. We have been waiting since then for successive Governments to reach a fair decision. There are some buildings where the re-allocation of lot entitlements posed, and continues to oppose, incredible hardship on the owners of small lots. What does the current Government propose to do to return our lot entitlements to those as clearly stated on the written contracts that are still in our possession? We simply ask for the right to have our original contracts recognized and validated.